As its name suggests, AV Rental Services rents professional audio visual equipment to businesses and event sites. 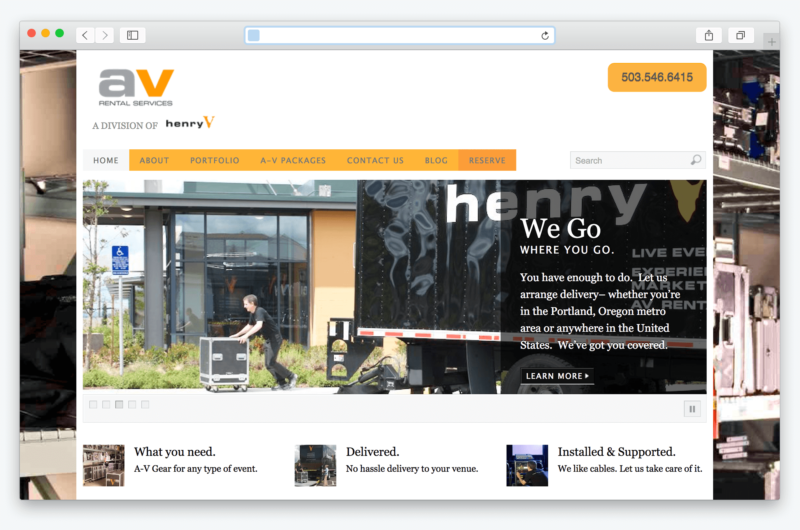 I had the privilege of creating the site while working for AV Rental Service’s sister company, Henry V Events, as its Digital Strategist. Unfortunately, the website was hacked after my departure, so I was asked to revive and then care for the website on an ongoing basis under our Website Care program.